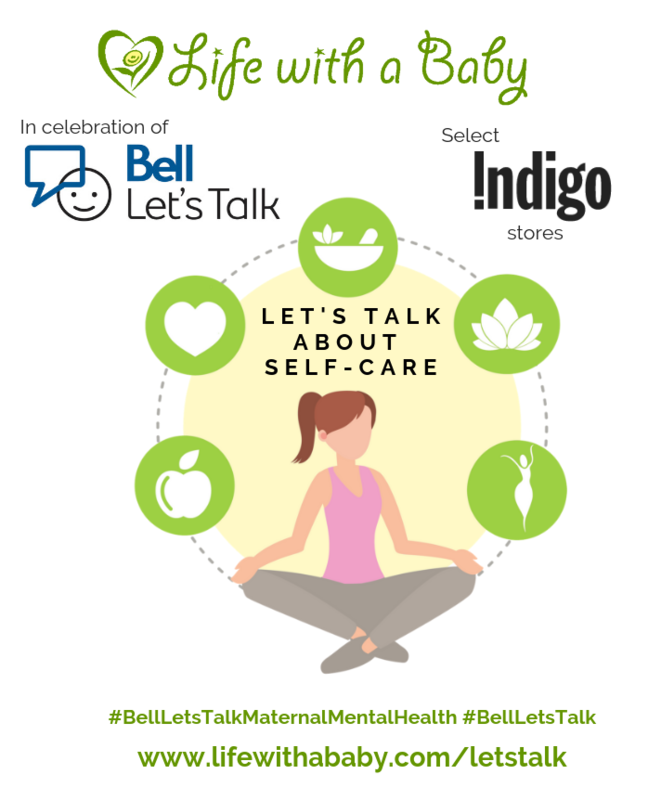 Last year LWAB founder Claire created the hashtag #BellLetsTalkMaternalMentalHealth to create a space to talk about maternal mental health on #BellLetsTalk Day. Thanks to many of you, your friends, family and networks, together we created a movement with millions of impressions to let everyone know - we’re here and deserve to be heard! The media followed suit, with a flood of supporting coverage. This year, Bell has invited Life With A Baby to partner with them for #BellLetsTalk Day to ensure maternal mental health is part of the conversation. We’ve also partnered with Indigo to host events in select stores across the country to keep the ever-important in-person component of mental health support at the forefront. Parents will be able to put mental health and self care into practice in a safe and welcoming environment.